Sources close to Asian supply chains say Samsung is already receiving production samples from multiple component manufacturers. A notable and perhaps controversial omission from the upcoming iPhone X is the fingerprint sensor. While its arguable that Apple may have purposefully dropped the fingerprint reader to bolster Face ID, there are sources claiming that the company was facing manufacturing hurdles relating to an under-the-display fingerprint reader and was unable to solve said issues in time for the iPhone X launch window. Similar production hurdles may have also plagued Samsung during the development of the Galaxy S8 series. Now, Business Insider is reporting that Samsung may have finally cracked the code on said production issues in time for the next generation Galaxy Note. 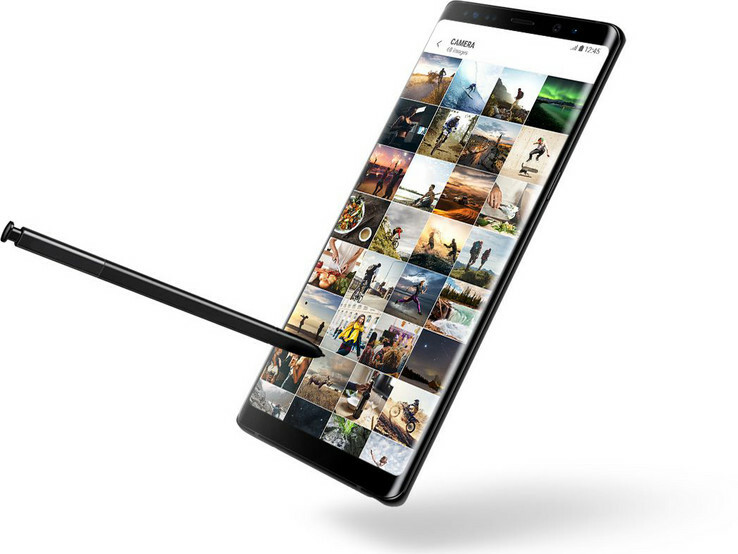 Analyst Ming-Chi Kuo from KGI Securities believes that the Korean company BeyondEyes and Samsung's own LSI division are the most likely manufacturers to supply onscreen fingerprint panels for the Galaxy Note 9. Users would be able to unlock the device by tapping on a specific location on the screen instead of a dedicated fingerprint reader on the Home button. Outside of Apple and Samsung, at least one Chinese manufacturer may be planning on incorporating the technology soon as well. A still-unconfirmed video of a Vivo smartphone sporting an onscreen fingerprint reader was discovered back in June, but the device has yet to reappear in any shape or form.